Hey there! If you have any interest in veganism, you’ll feel right at home here. Vegan Faux Ever exists to help the vegan curious like you see that going vegan is easy, rewarding, and delicious. Whether you’re brand new to veganism, you’ve tried it before, or you’re a full-fledged vegan, we have informational articles to help you along your journey. The mission of Vegan Faux Ever is to provide valuable guidance for anyone looking to adopt a vegan lifestyle. We want to lay the foundation that makes going vegan an easy, long-lasting transition. Wherever you are on your journey, we’re not here to judge. Our online resources are created to educate about the vegan lifestyle with an open heart so that new vegans will stay vegan forever. 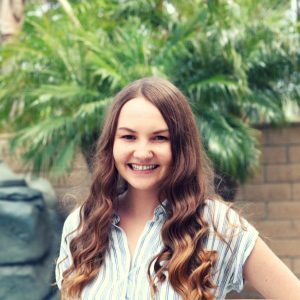 My name is Lacey, and I created Vegan Faux Ever as a go-to resource for new vegans and anyone interested in the vegan lifestyle. Here you will find information that I wish I knew when I went vegan three years ago. I went vegan in college for ethical reasons, but the health benefits and environmental aspects of going vegan also appealed to me. Since going vegan, I’ve lost weight, experienced several health benefits, and become a more compassionate person. I’m passionate about the vegan lifestyle and animal rights, so if you share some of these interests, we’re going to get along great! In addition to being a passionate vegan, I’m also a professional writer. Make sure you subscribe to our free newsletter to receive exclusive vegan tips that we don’t share anywhere else. Follow us on Instagram, Pinterest, Facebook, and Twitter. Read our Ultimate Guide to Going Vegan.